For the fourth consecutive year, ServiceLink Valuation Solutions, LLC, received a 'MOR RV1' ranking from Morningstar Credit Ratings, LLC, where "1" is the highest ranking available to a residential vendor in the asset-valuation market. Morningstar's forecast for the ranking is Stable. Morningstar highlighted the Pennsylvania-based ServiceLink's technological advancements and multilevel risk-mitigation culture as critical factors in issuing the superior designation. The ranking announcement further states, "ServiceLink incorporates strong vendor-selection criteria and vendor-rating protocols in its platform that effectively measure vendor performance, and this is reflected in the company's execution of key performance indicators pursuant to service-level agreements with its clients … ServiceLink's flexible technology platform and ability to leverage the parent company's [Fidelity National Financial] many product offerings in the real estate industry should continue to provide market growth opportunities and strategic business diversification." In the rankings announcement, Morningstar credits ServiceLink's EXOS digital settlement services platform for continuing to execute technological innovation to better serve clients: "EXOS provides mobile technology that streamlines the appraisal scheduling process. EXOS includes a real-time calendar, allowing the customer to schedule an appraisal date that is convenient … The scheduling process can be confirmed in minutes, and the time between an order scheduled and completed is dramatically reduced." "This ranking is not just a seal of approval for ServiceLink's Valuations division, it's a promise to our capital markets customers that we have the innovative solutions, financial stability, technology, and business resiliency to be in good standing with Morningstar Credit Ratings," said Dave Steinmetz, Division President, Origination Services. ServiceLink is the nation's premier provider of digital mortgage services to the mortgage and finance industries. 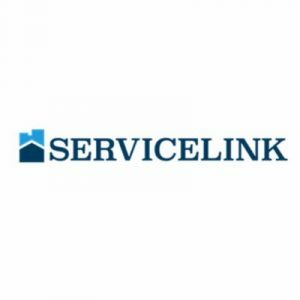 ServiceLink leads the way by delivering best-in-class technologies, a full product suite of services and proven experience, built on a foundation of quality, compliance and service excellence. 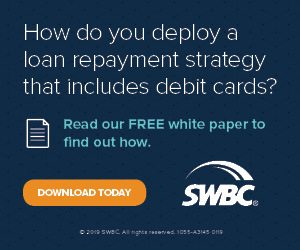 ServiceLink delivers valuation, title and closing, and flood services to mortgage originators; end-to-end subservicing to mortgage servicers; and default valuation, integrated default title services, vendor invoicing, and claims audit services, as well as auction services to mortgage servicers. Previous: VODII Partners with Factom Inc.